In our basic training we focus on how to apply basic Aikido in real world scenarios and environments. That is not to say we are not interested in the spiritual dimension of Aikido, we are. 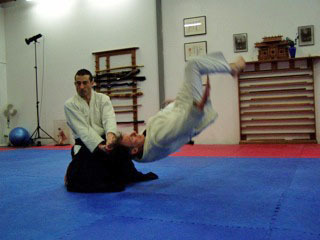 It just means that the insights of Aikido are gained from expertise in martial art application. Character is built on the border between life and death. It has been said that “the way of the samurai is death”. That is not a depressing negative implication it is just an understanding and familiarity with the nature of combat and our ultimate demise. At Pure Aikido spiritual training is focused by real self defence skill. Ki training is an extension of that. Real combat knowledge makes sure we don’t float off to some ki netherworld that has no basis in reality. All O’sensei’s amazing ability came from being an exert in applying his Budo. His Ki training was based on that and the teachings of Omoto. Seemingly magical things become logical when you know how to do them. 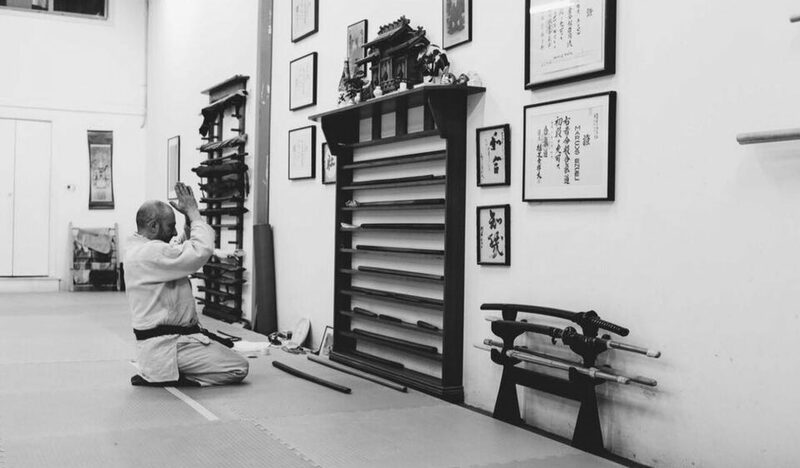 The higher levels of Aikido, like being able to diffuse killing intention and turn it around or diffusing killing intention and transforming it into something positive are derived from these skills. The more esoteric aspects of Aikido are also. The message is train basics well. Be nurturing to your training partners especially those less able than you, and learn to fight so that turning the other cheek is not fear but an expression of ability and confidence and also an understanding of consequence and what combat really means in its extremes. Training is fun and positive but also serious.